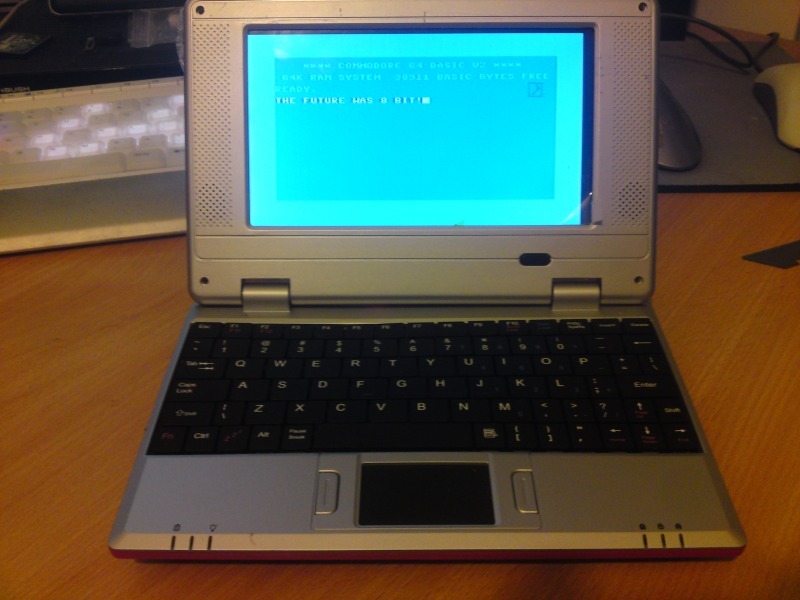 So here it is a Commodore C64 Laptop. My SX64 may have a 20foot mains cable, but this has one better.. 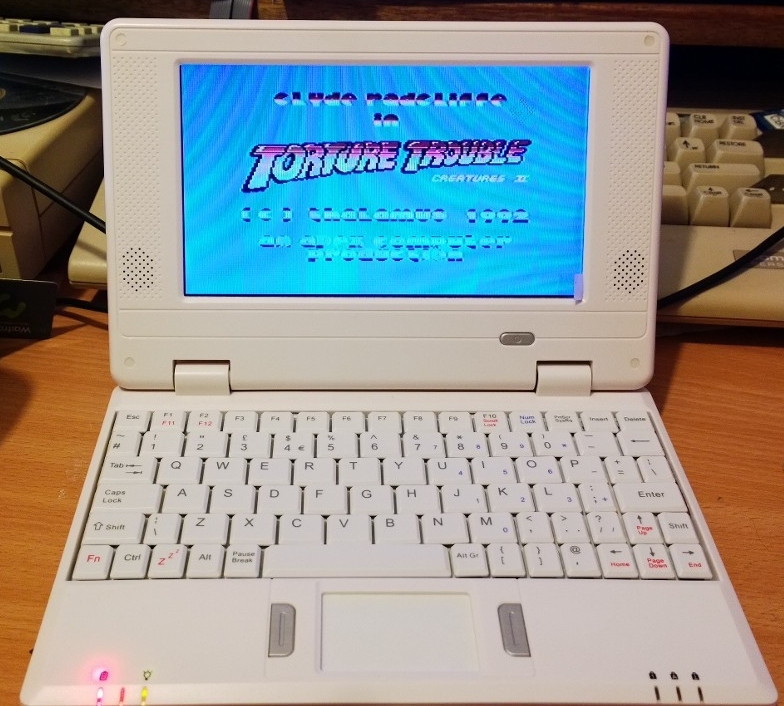 It's rechargeable and runs for 2 hours 20.. C64'ng on your compute.. Oh yes!! This is my prototype, But I will be making a short run of these, with various improvements. If your interested in one, send me a message via the contact page. Still not sure what I should call it.. C64p, C64l, NX64, SX2k64, SX64v2, IF2k64? Hmmm.. C64p.. Perfect! Why the hell is it taking so long! Well, a prototype doesn't take long to "knock up", but a production quality version will always take longer. 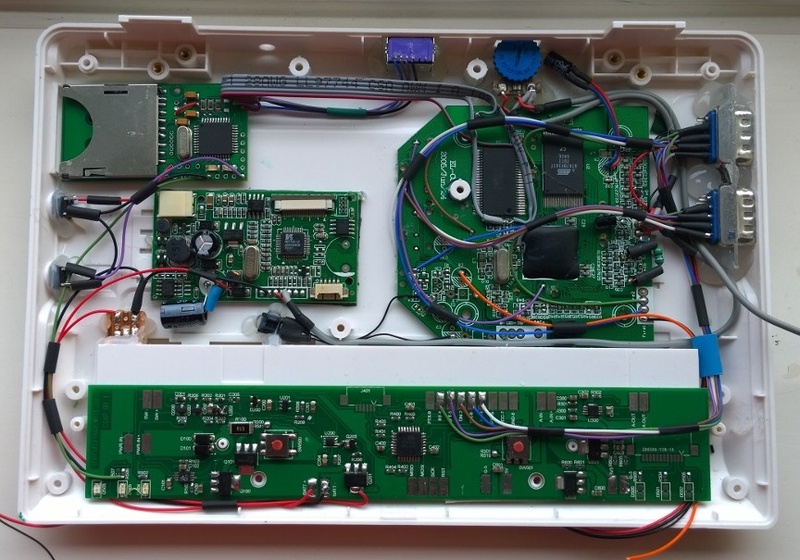 The PCB itself includes a 1530 mouse emulator, 5v and 3v regulators, amplifier, charge circuit, soft power up and status LEDS. The good news is, this board now in production, the bad news is one more simple PCB to go!.. But it's a simple PCB.. Not long now! The main differences between prototype 1 and 2 are the following.. Check out the making of the prototype 1 below.. When size matters, the last thing you want it a massive TV PCB. So when I started out with this project, this was the only TV/Monitor donor I could lay my hands on. It took quite a while to shrink it to 4mm thick, but it left me nowhere to put the DTV, SD2IEC etc. Anywho, after wasting too much time on it, I had to find another TFT. Test, test and test again. It's always worth testing before stripping the next PCB down. 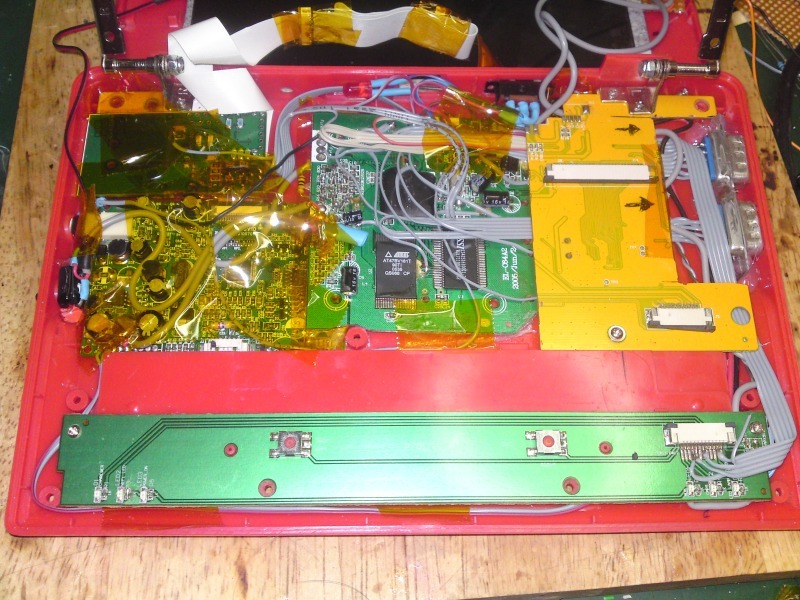 In the middle of the image, you can see a small PCB. This is the new TFT display PCB.. I think it measures something like 45x75mm. Supports PAL and NTSC.. Perfect! PS/2 and whats that? An SD2IEC! This is what started me off looking into SD2IEC all those years ago. I bought this SD2IEC from a guy on ebay and was very pleased with it. The build quality wasn't good, but it did work. It had no LED's, missed a few other components too, but it work well enough for me. 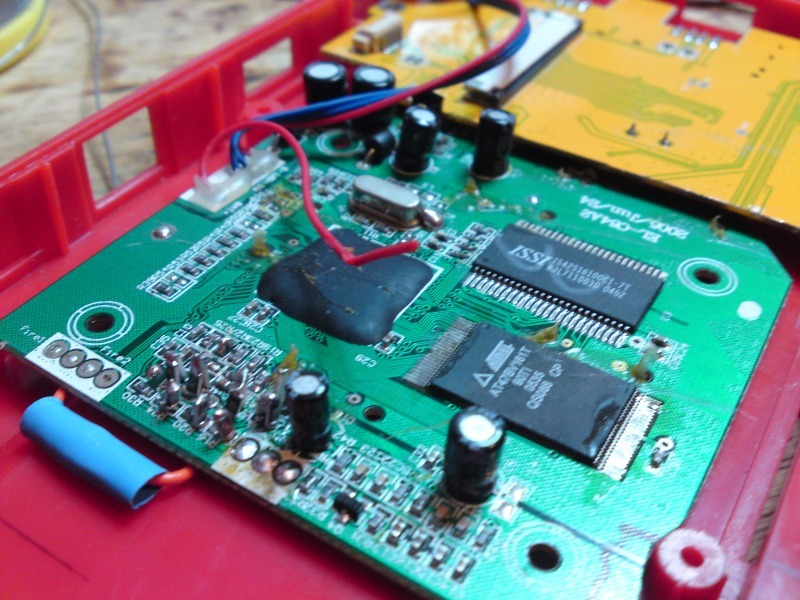 The next thing I did was by a couple of blank PCB's, but they were both seconds and needed repairing. I think I paid over £60 for it! Measure, check, measure adjust! 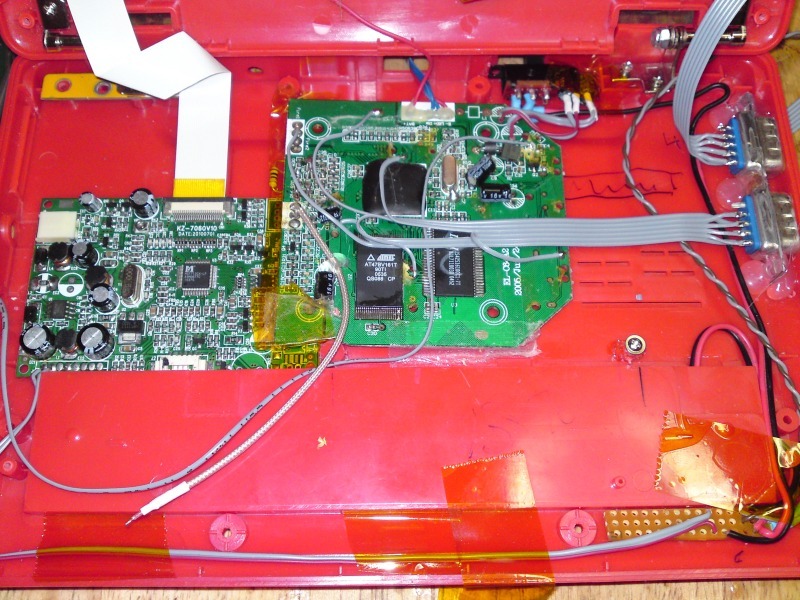 The yellow PCB in the background is part of the original netbook donor PCB. 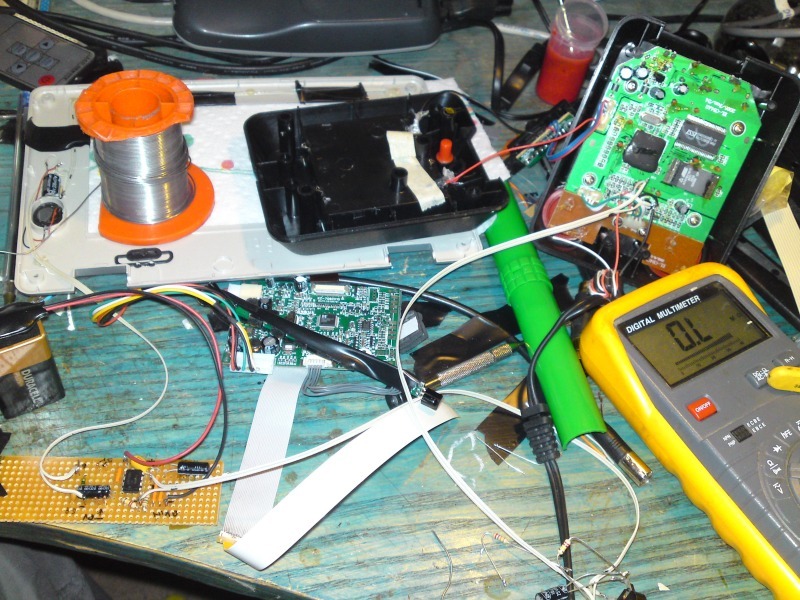 I was planning to manufacture a new PCB for the keyboard controller as well as the PSU, charge controller and AMP. But this never happend.. I'll save the new PCB design for any future C64p's, as I'm currently working on another PCB for another project! 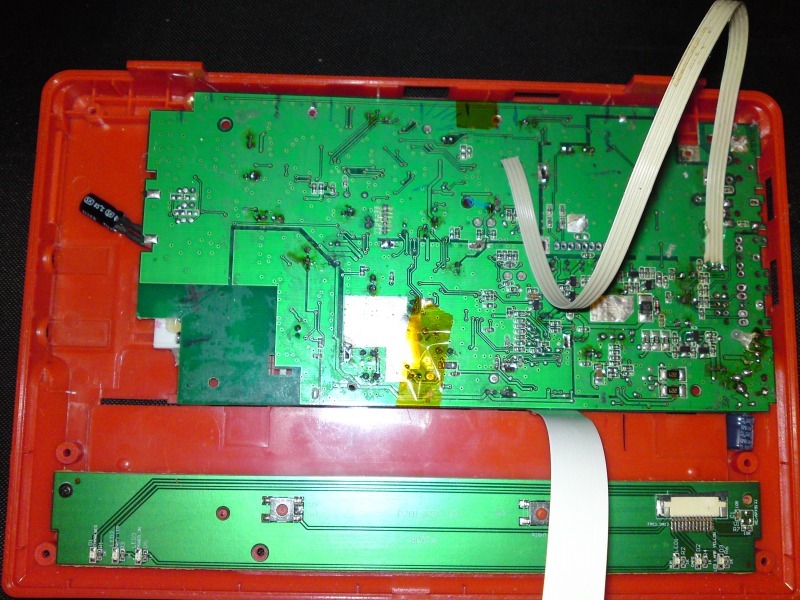 The charge controller is a separate PCB fitted under the yellow PCB. The resistors for the COLOUR fix are 1206 as I didn't have the 805's to hand. See what I mean! All I needed to do was to open up the rectangular USB holes with a scalpel. More joystick plumbing.. BTW, most of the sticky tape is only there to hold wires down out of the way during the build. Oh and you may have noticed that I've had to reduce the height of some of the C64DTV capacitors. Two of them are now on tails slotted in buy the on off switch. I plan to do away with the mechanical switch, as well as the C64DTV voltage regulator circuit. 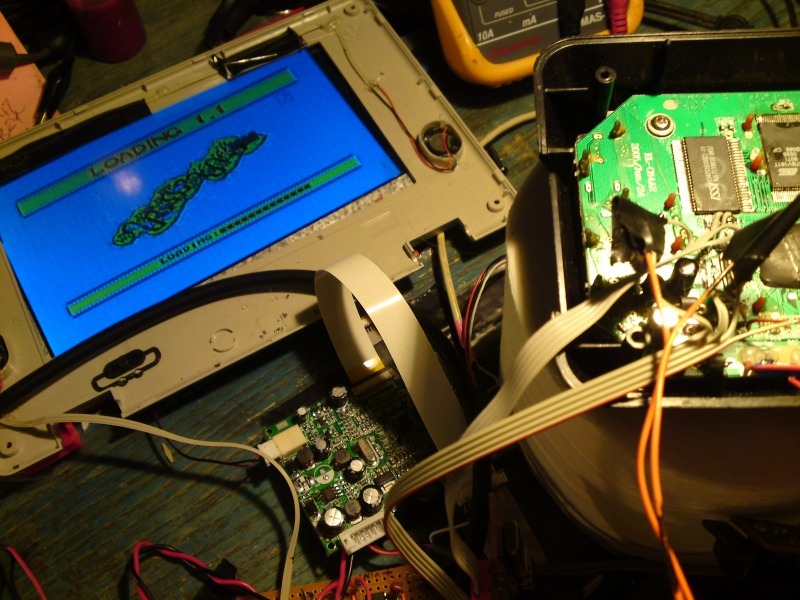 The status LED PCB now reinstalled and connected to the SD2IEC. The buttons now operate diskswap and root. Profile view just to show off my ports matron. They don't just look good they work a peach too! Nice and tight, no wobbles! 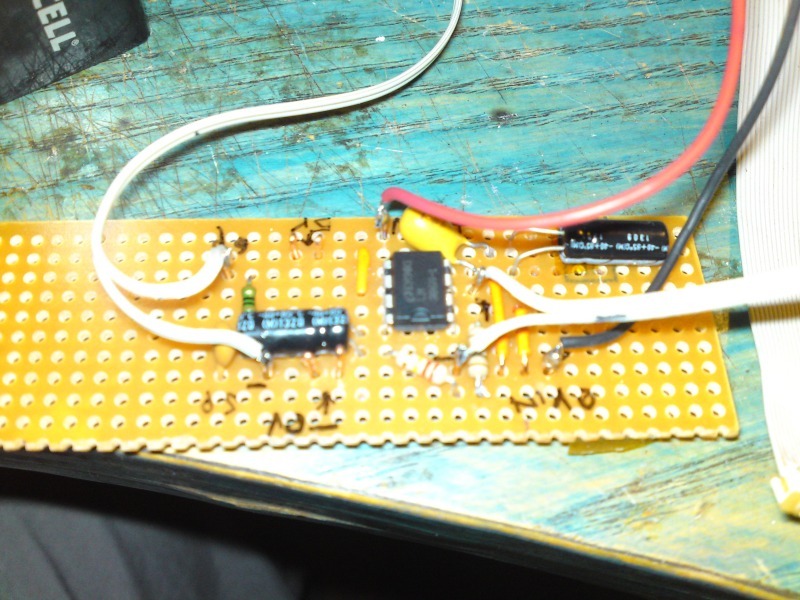 On one side of this board is the audio amplifier, and on the other is the 5v SMD regulator. The old TV screen didn't need this as it was full of useful circuits. This board was later dumped for two smaller boards. Sticky tape is your friend. Ah... my old office desk.. We've moved house since this picture was taken.. I'm not kidding when I say it's taken me years do finish this project! Testing the keyboard and SD2IEC.. Creatures.. Mmmm Smart! I was well chuffed with this.. 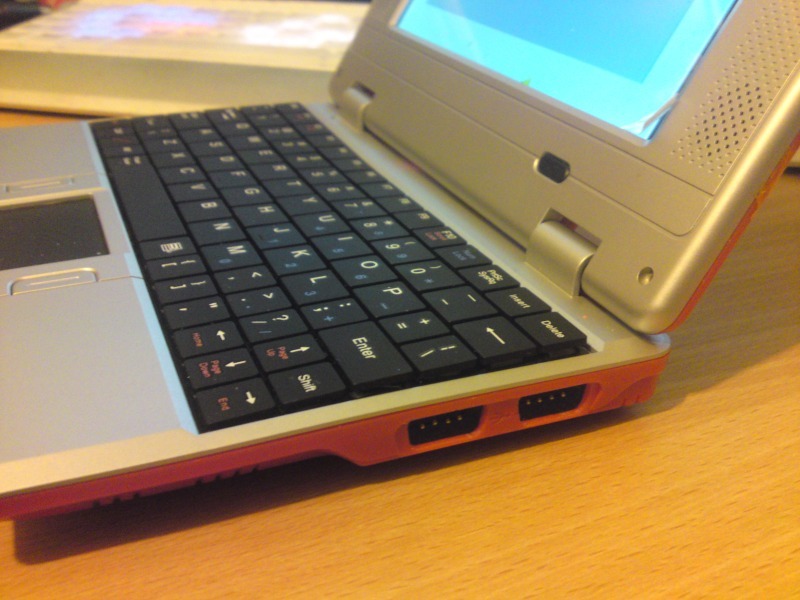 When I first chose this netbook as a donor, I thought to myself I could fit two joystick ports where the USB are. And it turned out, you can! The main plumbing has started! Front right you can see a tiny PCB that holds the 5v regulator. You'll also notice that I had to use hot glue to hold the joystick ports in. Both of the D type connectors where height reduced, but could have done with another mm off of them. 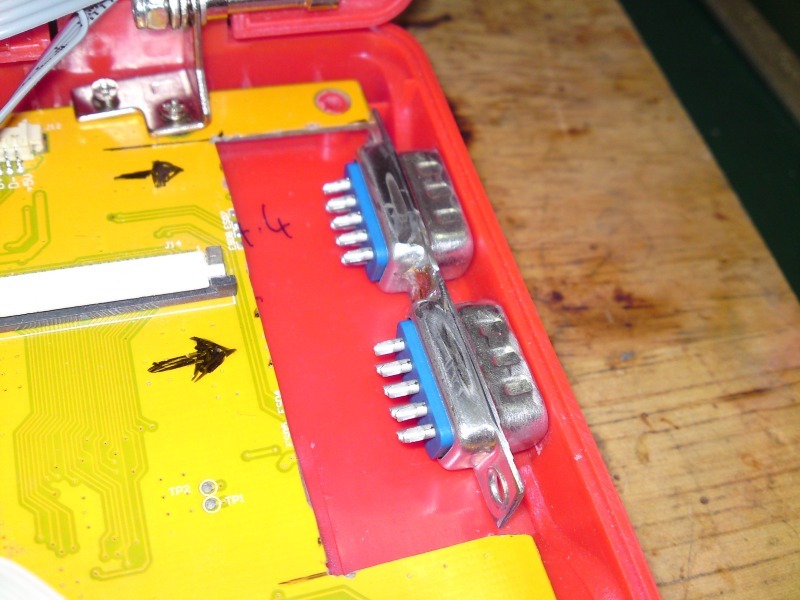 They have also lost a bit of width between them and are soldered together. The reason for this.. So it looks right from the outside! 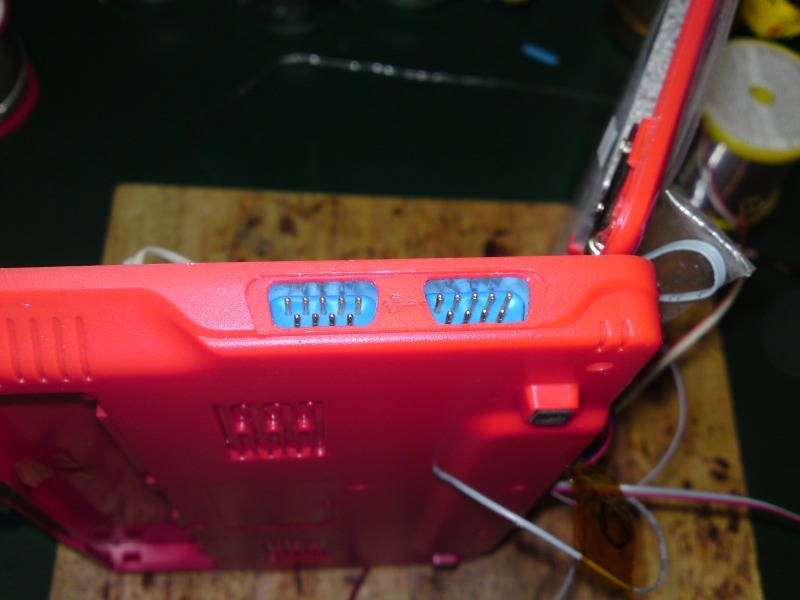 And with two joysticks installed, you get 2.8mm gap between the joysticks connectors. Missed a few pics here.. Got carried away with it! Anywho, by the right of the screen you'll see another PCB carrying the amplifier and a mile of wire that connects the ugly big pot hanging out the left side of the machine. Test and test again! SD2IEC also now fitted upside down in the left hand side of the case. At this point it is running off its own battery! Clam shells back on, plastics not yet cleaned. Any marks you might see are just sticky tape residue. The funny arrow on the screen is the protector film that I've still not removed! The black boarder is due to the TFT screen fitting to 16:9. I've since improved this by physically moving the screen a bit. And I've just noticed that they keyboard wasn't clipped in when I took this pic. SD2IEC, reset and volume. The volume knob can be removed BTW! Future versions will include a new custom made PCB to cater for the charge and power circuits and possibly a new amplifier. The new power design increases run time to nearly 3 hours. The update to the amplifier improves base. I've just tried JiffyDos on my prototype.. Wow it's good!.. Loads things in a "Jifffy"
Full version will have selectable 16:9 or 4:3 screen. New white chassis with Commodore LOGO! Looks great! Progress!.. The prototype PCB build etching this week! Slow progress! I've not touched this in weeks, as I injured my right arm. Anywho, I'll be back on it as soon as I can! Wow.. I've done something!.. I'm working on a new internal layout for the main PCB's. Should make construction a bit easier. Don't panic.. Things are still moving! The prototype PCB turned out to be rather good! Now I'm waiting for the final version of the magic new PCB that will handle all of the following. Still slow progress.. :( But progress none the less..
BOTTOM (ha) board now in production! Swing your pants! First batch are now being assembled!! - Time to do a little dance! For far longer than I'd ever wanted I've had an issue with the keyboard interface on these little sods. 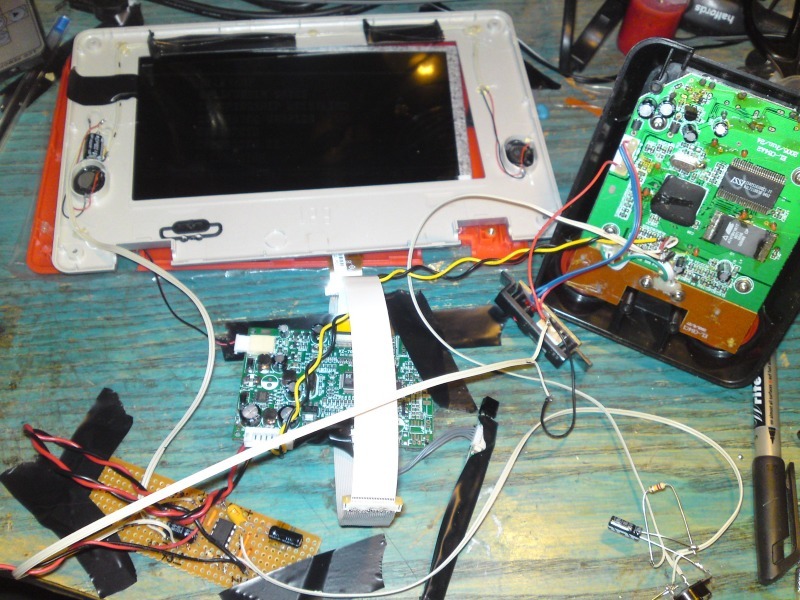 You see, these machines are assembled using some donor parts from the Netbook/Laptop thingy that they started off as. 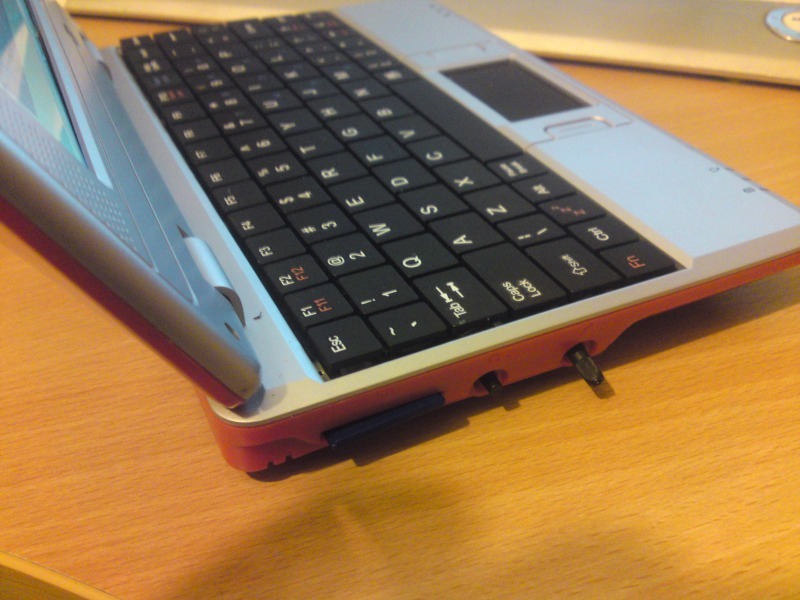 Just about everything from the original Netbook is scrapped.. Only the case, keyboard and hinges are kept. 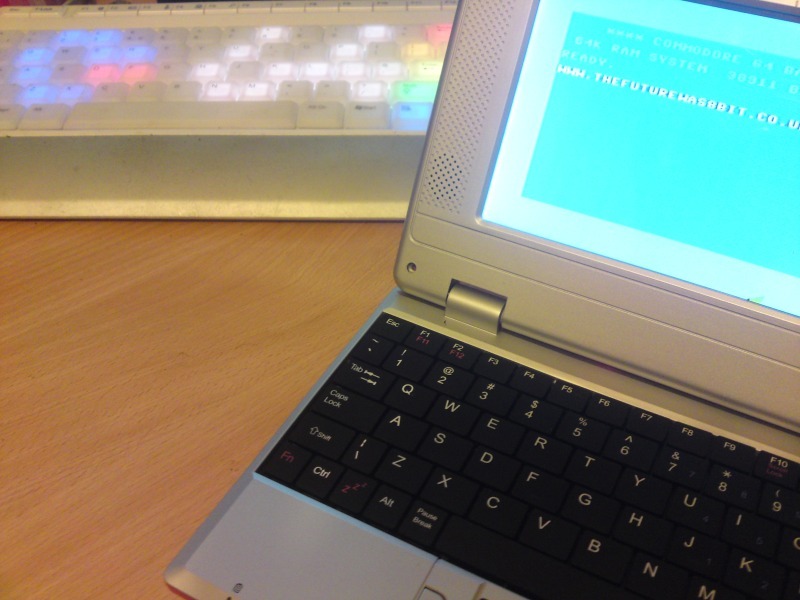 But, the first C64p I built used the keyboard controller chip from the original Netbook. Anywho.. 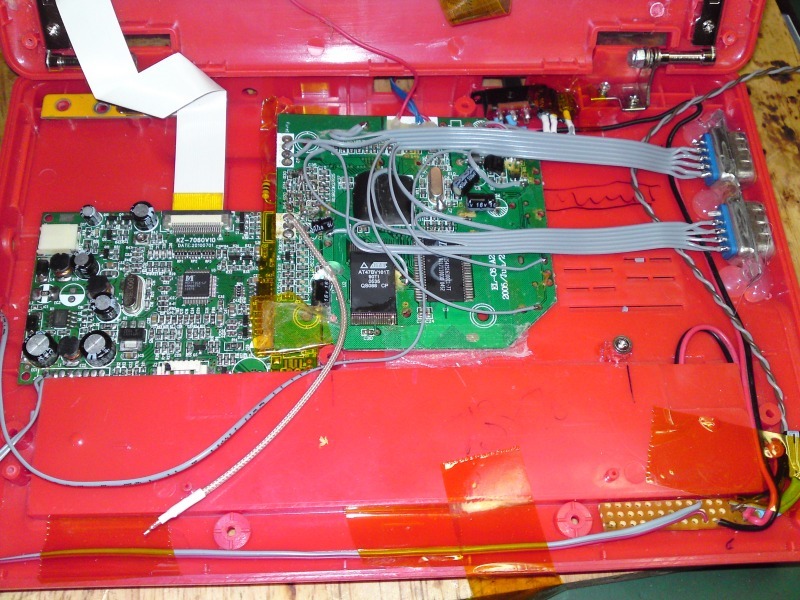 Since then, I collected a massive collection of these machines, stripped them all down only to find 7 different variations of the main PCB.. All with slightly difference keyboard interfaces.. Great huh.. Anywho (again).. Only the first machine (prototype) had the useful controller setup.. 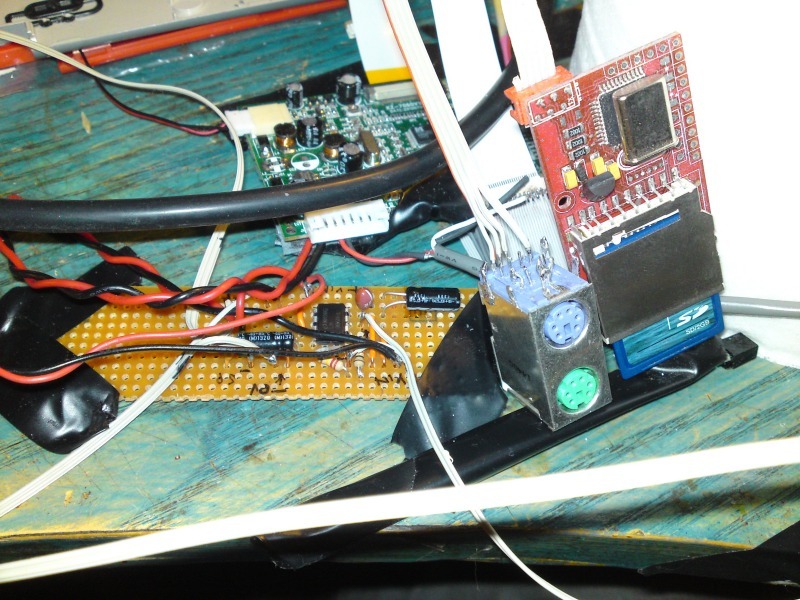 The rest are a mix of USB style interfaced chipsets or el'crappo versions of PS/2.. So, this left me trying to get around this problem by designing my own custom keyboard controller.. Mental or what.. The new mental interface is in the works.. but it's more of a future crusade than something that'll be finished this year!.. But.. GOOD NEWS!. I've managed to modify the original donor design to work ok with an off the shelf USB to PS/2 converter!! It took some doing.. But it has got me out of a massive hole!.. BTW.. I do plan to offer an upgrade to the purpose built controller when it is finished.. As it will offer nice things like volume control via the keyboard "FN" keys like a real laptop! So the custom interface is on the back burner.. Just the touch pad to finalise.. In the shop before Christmas.. I hope so! ;) So you'd better be good... or Santa won't let you have one! Didn't get it into the shop before Christmas, but it is finished now. First batch are being built, anyone that has requested information will get an email from me any day now. 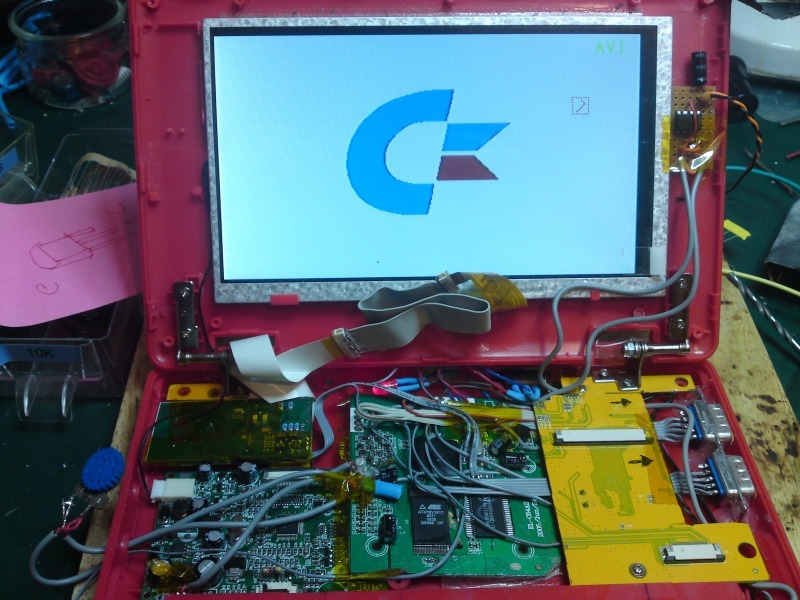 The first 5 C64p should be ready in a 1-2 weeks ;).